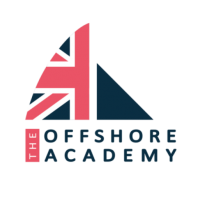 Since its foundation in 2010, The Offshore Academy has been committed to supporting the future of British single-handed sailing. Training and racing on a fleet of strict one-design Figaro yachts, each year a squad of promising young sailors are put through their paces. From weather planning, navigation, nutrition and boat maintenance to understanding the wider world of sponsorship and corporate support of sailing, the Academy creates a rounded and extensive training programme. The pinnacle competition for the Offshore Academy’s sailors is the Solitaire Bompard Le Fiagaro – the world’s leading annual solo sailing race, a 2000-mile, four-stage competition centered on the English Channel and the Bay of Biscay. Prior to the foundation of the Offshore Academy, only 6 British sailors had raced in the 40-year history of the Solitaire. Since 2010, the academy has provided 36 entries and notched up some of the best British results in the competition. In 2013, Sam Goodchild became the highest-ranking British skipper in the modern history of the race when finishing 11th overall, while Jack Bouttell became the first Brit to win the coveted Rookie title – the class for first-timers to the race. In 2014, Rookie Sam Matson finished an impressive 14th overall, while in 2015 Alan Roberts became the highest ranking British skipper in 40 years, finishing 9th overall on just his second Solitaire. Bouttell once again proved he was a worthy solo competitor, finishing 10th, while Robin Elsey won the Academy's second top Rookie accolade. The 2016 season saw Nick Cherry start a British record 5th Solitaire, whilst Will Harris made it 3 Rookie championship wins in 4 years for the Academy, finishing 1st Rookie after a tight & tense battle on the final 24hr sprint leg of the 2016 Solitaire. The goal of the Offshore Academy is to help talented British skippers work their way up through the ranks of the Class Figaro Bénéteau and ultimately put them on the path to the Vendée Globe solo round-the-world race. Following in the footsteps of British ocean racers Dame Ellen MacArthur, Mike Golding and Alex Thomson, it is the Academy's ultimate goal to see one of its sailors victorious on the Vendée Globe podium and become the first British skipper to win this prestigious race.